It’s that time of the month again, so if you’re using a Windows device, you should head over to Windows Update and check for updates. Microsoft has rolled out its monthly security updates as part of the Patch Tuesday cycle, and on Windows 10, the release includes cumulative updates for all supported versions. Windows 10 Home and Pro continue to be serviced beginning with the Fall Creators Update (version 1709) and later, while Enterprise and Education SKUs are also getting updates on older releases. LTSC systems receive security updates regardless of version. Since these cumulative updates are released as part of the Patch Tuesday cycle, the focus is first and foremost on security improvements. As a result, you’re going to find improvements for the Windows kernel, Microsoft Edge and Internet Explorer, and other Windows components.No known issues so farAt the time of writing this article, I am not aware of any known issues with these cumulative updates, but the rollout has just started, so it could take a while until possible problems are reported. 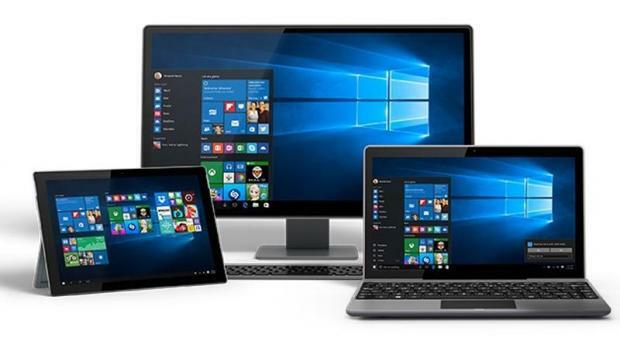 As long-time Windows 10 users certainly know, many cumulative updates released in the past failed to installed or caused post-installation issues, so it remains to be seen if this is the case with today’s patches too. We’ll continue to monitor the main feedback channels to see how the experience with the February 2019 cumulative updates improves. Microsoft recommends users to install them as soon as possible, especially because these updates resolve security vulnerabilities in Windows 10. Separate articles for each of today’s cumulative updates will also be published, so check back in the coming hours to see what’s been fixed as part of the February 2018 rollout.